Regulating our mood. Did you know that poor nutrient uptake can result low energy levels as well as anxiety and depressed mood? Reducing inflammation - inflammation can also result in anxiety and a depressed mood. Understanding your daily energy intake requirements is a key component to weight loss. There is a popularly held belief that people gain weight because they eat far too much. In fact this is often not the case. Often the issue is that people are eating the wrong foods, or are eating a little bit too much but are doing it consistently. For example a person may eat relatively healthily all day to meet their daily energy requirements, however by the time 8pm or so comes around they're feeling a bit tired and really feeling as though they deserve a reward for the healthy eating and hard work they've done all day (remember they've already reached their energy intake requirements). They go to the kitchen and in the fridge they see a tub of Connoisseur Ice Cream (who doesn't love that?) so they get themselves a bowl of it, the whole tub is 1 litre so they have an average bowl (not the recommended serving who has that little??) of about 200g. It's not that much, what harm can it do? and they deserve it right?. The thing is that with that little bowl of ice cream, they've just gone 350 calories over their daily requirement. That's not too bad, but what if they have that little bowl of ice cream every night? Well 3 weeks later they'll find that just as a result of that little nightly bowl of ice cream that they are 1 kg heavier. What if they have a glass of white wine in the evening too? Well we all tend to pour more generously at home so say one glass is 200gm, that's 164 cals, so 6 or so weeks later that's another 1kg gained from the single glass of wine. By consistently having a smallish bowl of ice cream and 1 measly glass of wine over your daily energy requirements you've gained 3 kg's in only 6 weeks! The thing is that we often don't register/accept that this is happening until we've gone far over 3kg's and by that time we are stunned to discover we are 10kg's or 20kg's heavier than we used to be! None of our clothes fit and we are left feeling resentful because we really do not eat that much!! Sometimes the weight gain is occurring not because of what the person is eating but because of what they are drinking e.g. 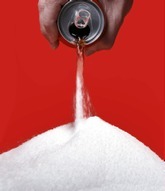 sugary carbonated drinks, energy drinks or juices - even the diet varieties have now been shown in various studies to lead to weight gain, in some instances greater weight gain occurs than for people that drink the full sugar variety. Milky coffee's and hot chocolates can be remarkably high in calories too. Alcohol is often the culprit (as outlined above) that is adding empty calories to an otherwise balanced diet. Caffeine can also contribute to anxiety and impact the quality of our sleep as does alcohol, lack of sleep is another contributor to weight gain. Caffeine can also make us feel jittery an stressed, this can result in comfort eating for people that have learned to use eating as a self soothing mechanism. Hydration is also key to successful weight loss. Dehydration slows our metabolism and thirst is often confused for hunger which results in overeating. We tend to think that thirst is like an indicator on the petrol gauge in our car letting us know that we are running low, in fact thirst is telling us that we are already empty and stalling! You know how bad that is for your car engine so you avoid getting to that stage, you need to do the same thing with your own hydration! Knowledge about nutrition means that you can rely on skill-power and not just willpower to lose weight consistently and sustain-ably. 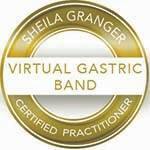 This is why I recommend that my clients have a couple of sessions geared towards skilling up on nutritional requirements prior to embarking on a weight loss hypnotherapy program such as the Virtual Gastric Band. Successful weight loss relies not only on reducing the quantity of food that you intake but on increasing the nutritional quality of the foods you consume. Quit Sugar And Enjoy The Benefits Of A Healthier Life!